Pour in a cup of hydrogen peroxide into a washer load of white laundry instead of chlorine bleach and it will whiten your clothes. Don't pour it directly on your clothes. It can fade out the color just like bleach does! Mix up a 50/50 solution of hydrogen peroxide and tap water and pour it into a spray bottle. Use it to sanitize your kitchen counter tops, clean appliances and help keep your kitchen germ-free. Note: Mix up only as much as you'll use at one time. If you don't store hydrogen peroxide in its brown bottle, light will break down its chemical makeup. Did you know you can get contagious diseases like Trenchmouth from using public drinking fountains? Carry a small container of hydrogen peroxide with you so you can sanitize fountains before you drink from them. Just splash some peroxide on the spout and let it set for several seconds. Then turn the water on and let it run to the count of five before you drink from it. Soak your fingernails or toenails in a 50/50 solution of hydrogen peroxide every day and it will kill harmful fungus. Swish a teaspoon full of 3% strength hydrogen peroxide in your mouth for five to ten minutes every day. It will kill harmful germs and bacteria. It will also act as a homemade tooth whitener! Pour a fourth of a cup of hydrogen peroxide into a sink of cold tap water. Place your fruits and veggies in the solution and wash them off well. Then, rinse each piece off with tap water and dry. Use a clean cotton ball to generously dab straight hydrogen peroxide onto skin acne two or three time a day. The peroxide will dry the problem up in no time at all! Tilt your head and use an eye dropper to put three or four drops of hydrogen peroxide into the ear that has the waxy build up. Let it set for several minutes. Then, use a syringe and flush your ear out carefully with warm water. Dry your ear with a soft, clean cloth. Mix together equal parts of 3% hydrogen peroxide and tap water and pour it into a spray bottle. Use this solution to kill germs in your bathroom and keep it smelling clean! 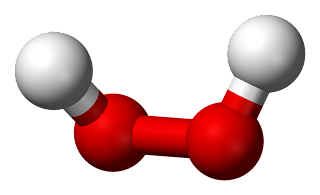 Using hydrogen peroxide as mouthwash is simple: just swish some 1% to 3% hydrogen peroxide (straight or diluted in 50% water as was recommended to me) around in your mouth, then spit it out. Like you'd do with any kind of mouthwash, right? Hydrogen peroxide as mouthwash will kill bacteria and viruses in your mouth. However, it takes time for hydrogen peroxide to work, so this is not going to remove all the bacteria and viruses in your mouth – it will just lessen them. Hydrogen peroxide as a mouthwash can taste a bit weird. Also, any time hydrogen peroxide is killing germs, it will foam -- so there can be some foaming when you are using hydrogen peroxide as a mouthwash. If you want to get at the bacteria in your gums, try it this way: brush your teeth, then floss between your teeth, and then swish with peroxide. This way any gunk is out of the way, and the peroxide can get in to the gums more easily. Swishing for a minute or longer will be more effective than a shorter swish. I have to say from personal experience, rinsing with hydrogen peroxide gives you that smooth, clean, fresh-from-the-dentist feeling!